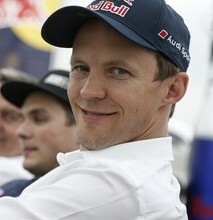 World Rallycross ace Mattias Ekstrom is the latest online driving instructor for SAFEisFAST.com. The Swede currently competes for his own EKS RX team in the FIA World Rallycross Championship and races in the DTM for Audi, where he is a two-time champion. Since joining World RX in 2014, Ekstrom has taken six wins in the series and currently lies 1st in the 2016 standings with two rounds left. Ekstrom has also enjoyed stints in NASCAR, WRC, V8 Supercars and Global Rallycross during a career spanning two decades. Mattias Ekstrom answers your questions! Could you describe the different driving styles you use in DTM and rallycross, and how you go about adjusting to each? My aim is to drive clean lines in both series, but for sure in World RX you have to use the handbrake from time to time and drift a bit through the corners. There are a lot of different driving styles in rallycross, but I would say mine is closest to circuit racing for obvious reasons. How did you begin your career in professional racing? After my ‘career’ in karting, I started with touring cars. 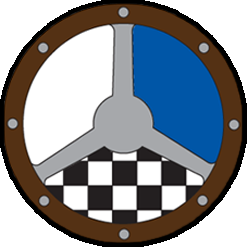 First of all I did the Renault 5 Turbo Cup in Sweden from 1994 to 1996 and became champion in my last season. I started to do the Swedish Touring Car Championship (STCC) in 1997 and also became champion in my third year. Which series do you find it harder to compete in? DTM or World RX? Hard to say. I would like to say it’s a tie. Both series are big challenges, and there are a bunch of good and fast guys in DTM and World RX. Do you think racing in DTM helps you in World RX and the other way round too? Yes, of course. In 15 years of DTM racing I learned so many things that are helpful in all kinds of motorsport. Regarding World RX, for sure it’s the driving style on tarmac, but also the huge professionalism of the series, which I try to adjust in my rallycross team. On the other hand, the short and action-packed races in World RX help me a lot in DTM, because I have been becoming much more relaxed there. Hi Mattias, I’m an 18-year-old rallycross driver currently racing in the UK. One of the things I really struggle with is setting my car up for gravel surfaces. I seem to lose too much traction on the exit to corners compared to other cars. Do you have any tips for me? Good luck in World RX, I hope you win the title! Try to find a set-up which is softer, but still suits you and your driving style. What are the physical demands like for racing in DTM? How do you train before each race weekend? For me it’s important to arrive at the track relaxed and balanced. To do so, the best preparation is to spend as much time as possible with my family and my dogs. Is it true that DTM cars feel more like single-seaters than conventional touring cars because of the downforce they have? Hi Mattias, as a factory Audi driver, have you ever fancied racing for the Audi LMP1 team at Le Mans? I already did. In 2007 I drove the Audi R10 TDI at Le Mans during the test day. How have you found the challenge of being a team owner in World RX? Is it hard to concentrate on racing and managing your team? It’s a lot of work, but when you love what you do, it’s definitely worth it to spend the time. EKS is a celebration of everything that I love about racing; the passion, enthusiasm, joy, and of course, professionalism and preparation. I have brought together great professionals and long-time friends who love the challenge and understand what it takes to win. In World RX you race against ex-WRC drivers like Petter Solberg and Sebastien Loeb and win. Do you think you could beat them in the WRC? I can beat everybody in a racing car! To be honest, together they have ten WRC championships, so this would be a tough one. But I don’t think that I would be really close to them. 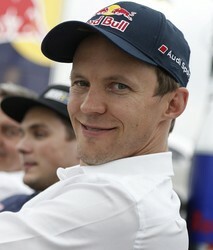 Hi Mattias, it seems like you’ve been backed by Red Bull for ages! How much PR and sponsorship work do you do with Red Bull in and around each race weekend? Does it get boring or do you enjoy it? It’s always fun to work closely together with great brands like Red Bull. And I don’t say that because I get backed by them. They always have brilliant ideas and bring me together with amazing athletes from all over the world. That’s awesome. What advice do you have for young drivers interested in rallycross? Go for it, but don’t be too surprised, it’s tough racing. You should start in your national series or try RX Lites, which is the support class of World RX. Then you can move forward, and who knows, maybe you are fast enough to be on the grid next to me? What has been the greatest achievement of your motor sport career so far? There were a lot of great moments. For sure my first victory in DTM at Zandvoort in 2002. To become DTM champion for the first time in 2004, beating the best drivers in the world at the Race of Champions three times, but also my first ever victory in a World RX event at my home round in Höljes. That took place in 2014 and it was very special for my team and me, because it was only the third appearance in EKS’ history. What skills can young drivers learn in karting that will help them most in a career in motor sport? Be fast, be aggressive, but always use your head. When you push too hard, you will never be successful. And be always careful with your tires. That’s something you have to keep in mind for your entire career. Which discipline of motor sport have you enjoyed most? And why? There have been so many but I won’t miss even one of them. Maybe you have expected something more detailed here, but this is the truth. What did you find was the hardest aspect of driving a NASCAR machine? And what was the easiest? Those 5.7-litre V8 beasts are absolutely amazing and completely different to everything else I have drove in my career. You have to work a lot in the car, but I enjoyed the two races I did a lot. Mattias, how have the DTM cars changed during your career? Are they easier to drive in 2016 than in 2001? Or harder? You can’t really compare these cars. It’s completely changed from a proper touring car to a closed single-seater. That requires a different driving style, which also suits me. What does it take to be a successful WRX driver? You have to be fast, be able to anticipate, take decisions very, very fast, be spontaneous in terms of changing your tactics during the race, and last but NOT least have a great bunch of guys around you, because it is a real team sport. Are they many similarities between driving a WRC car and a WRX car? In some ways they are similar. Some guys in World RX drove WRC cars with World RX specifications in the past, but I think to be successful in World RX you need a car which is built for this series. It has to be more resistant than a WRC car because of the contact, for example. What advice would you give to young racers trying to catch the attention of a manufacturer like Audi? In my opinion it’s very helpful to come into contact with a manufacturer as early as possible. You can do this by being fast as hell and hope that you attract interest, but I think a good way to show your skills AND work closely together from the very beginning is to join the Audi Sport TT Cup, which is a one-make cup by Audi and support class of the DTM. Some of the talents there are really fast and some have already stepped up to the GT programme of Audi Sport.